Place a pan on the stove ,add oil 2 tsp to it.When it gets heated add mustard seeds,jeera,redchillies,curry leaves. After it starts spluttering add chopped onion pieces of 1 medium sized onion. Fry for 4 to 5 min,then add water of 4 glasses ,tamarind paste,salt, a pinch sugar and kothmeer. Next grind 4 to 5 garlic flakes with dhania 2 tsp and 2 tsp of jeera and add the powder to the rasam and let it boil. This is a simple charu which will be very light dish to eat. This method of rasam is very light,after a heavy dinner outside,next day i make this rasam,so light,and easily digested.for this rasam we dont need any rasam powder,but if u insist you can add any of the 2 given recipes for rasam powders. 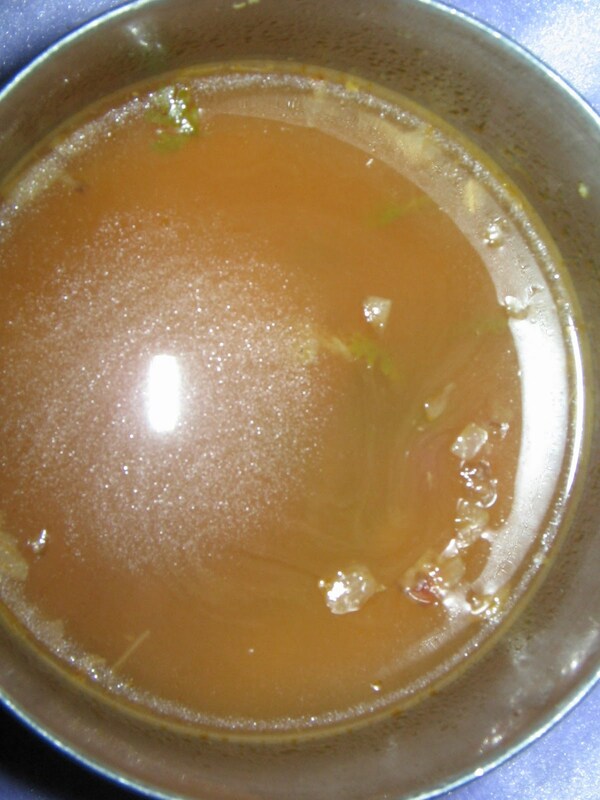 method:the method is the same as given above for other types of rasam(not mysore rasam),but i dont add rasam powder, and instead of it i add more corriander leaves..
drumstick rasam: for this type also i dont add rasam powder,but i add 9 to 10 pieces of drumsticks.and every thing is the same as above.